Austin’s Fun Fun Fun Fest has revealed its lineup for 2014. The three-day festival takes place November 7th – 9th at Auditorium Shores and Butler Park. 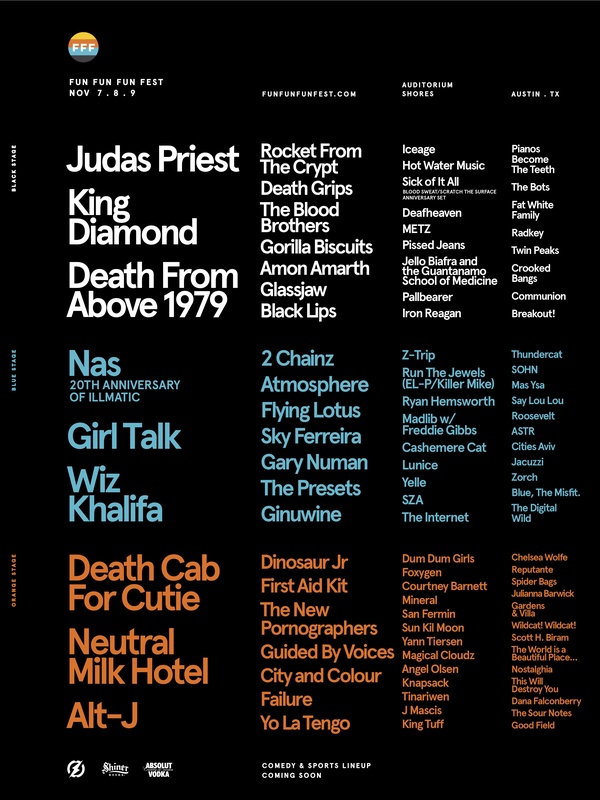 This year’s lineup is topped by Neutral Milk Hotel, Death Cab For Cutie, Nas, Judas Priest, and Death From Above 1979. 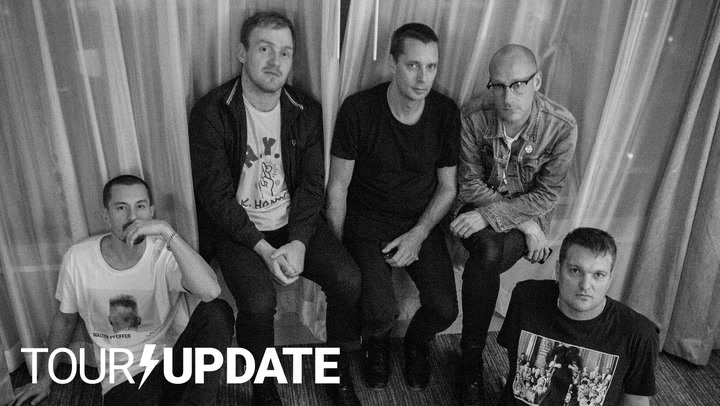 Other notable acts include Death Grips, King Diamond, Girl Talk, Flying Lotus, Sky Ferreira, Alt-J, The New Pornographers, The Blood Brothers, Run the Jewels, Failure, Guided By Voices, Yo La Tengo, Dinosaur Jr., Sun Kil Moon, and — yes, Ginuwine. Also playing are Rocket From the Crypt, First Aid Kit, Atmosphere, Dum Dum Girls, Foxygen, Black Lips, Lunice, Deafheaven, METZ, Pissed Jeans, J. Mascis, Glassjaw, Thundercat, SZA, Hot Water Music, Iceage, Majical Cloudz, Angel Olsen, Tinariwen, King Tuff, Chelsea Wolfe, Courtney Barnett, Gary Numan, Twin Peaks, Spider Bags, and Juliana Barwick, among others. The festival will also feature a comedy stage; its lineup will be announced on July 1st. Festival tickets go on-sale beginning Tuesday, May 20th at 10:00am CT. Visit the festival’s website for more.